The crafty red fox who burrowed out of her enclosure at the Staten Island Zoo last week has been captured a mile and a half away and returned to the zoo after a "community watch" formed to seek out the escapee. Zoo officials were alerted when residents spied the fox, named Helena, napping in a sunny spot near their property, and she was soon ensnared with a Havahart trap. The zoo, which has been accredited by the Association of Zoos and Aquariums since 1988, acquired Helena in July along with her sister Montana in their namesake state after their mother was killed in a trap. Now, after her adventure wandering the woods and roads of Staten Island, Helena is resting at the zoo's animal hospital, and will be put back on exhibit in the near future, according to the zoo's Facebook page. 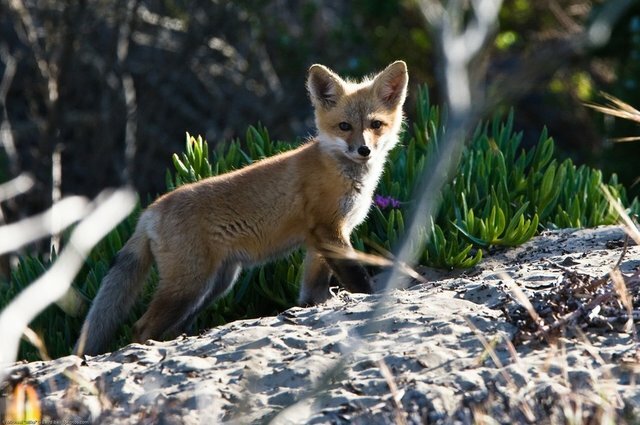 Red foxes are found in many parts of North America, and their range has expanded alongside human's. Interestingly, they are found in nearly every county in New York State, though they prefer areas with more vegetation to dense suburbs like Staten Island.